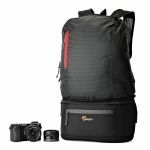 Lightweight travel pack that fits mirrorless camera or compact DSLR and expands from waist bag to a backpack. Start your day with just the basics. Bring along your camera and a few personal items. Carry your jacket, pick up some groceries or stop at the gift shop. 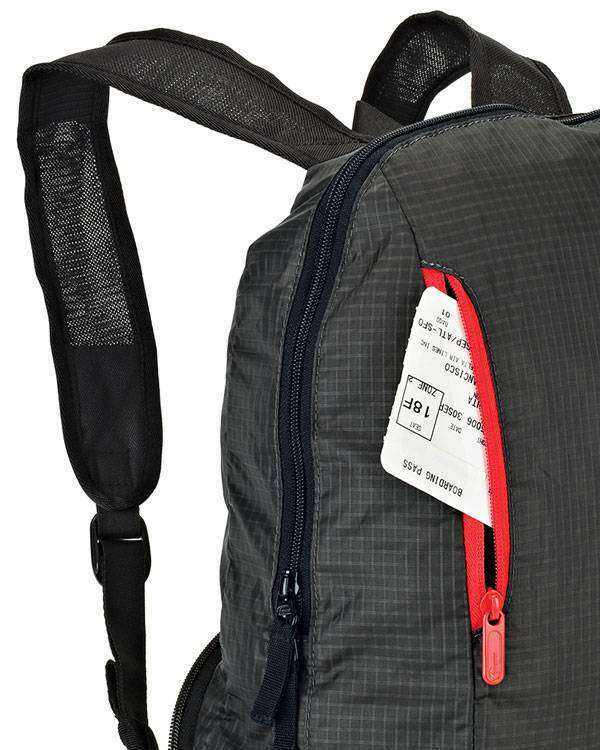 Passport Duo is the perfect companion for the active traveler. 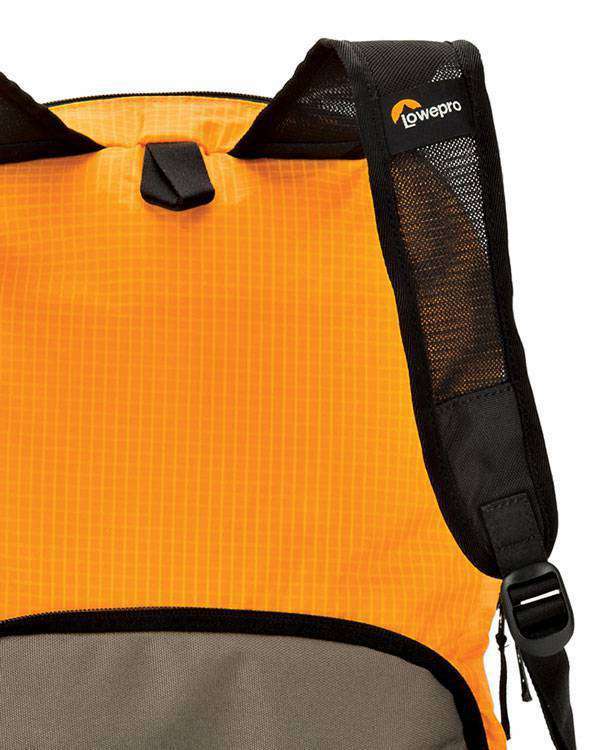 Breathable shoulders straps are designed to contour to your body for maximum comfort. 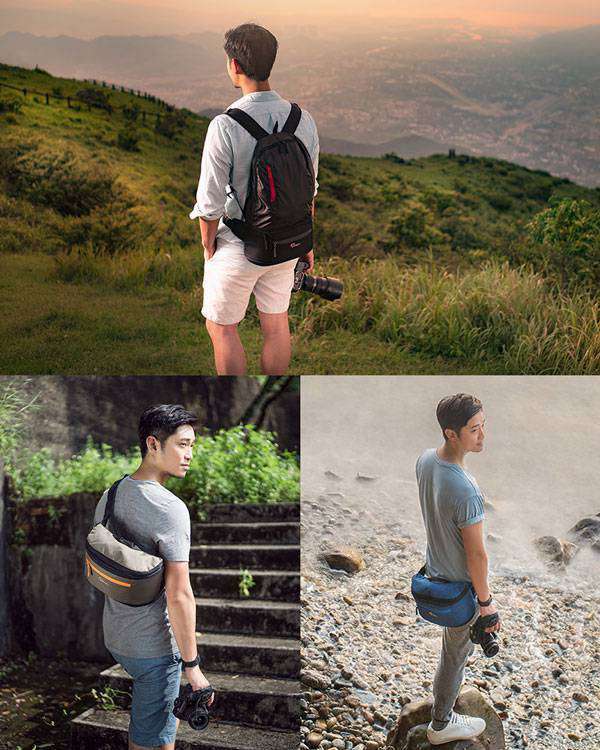 This revolutionary design can be worn as a fanny pack, a cross-body sling bag or as a backpack. 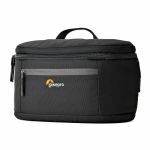 Two zippered pockets give quick access to small items. 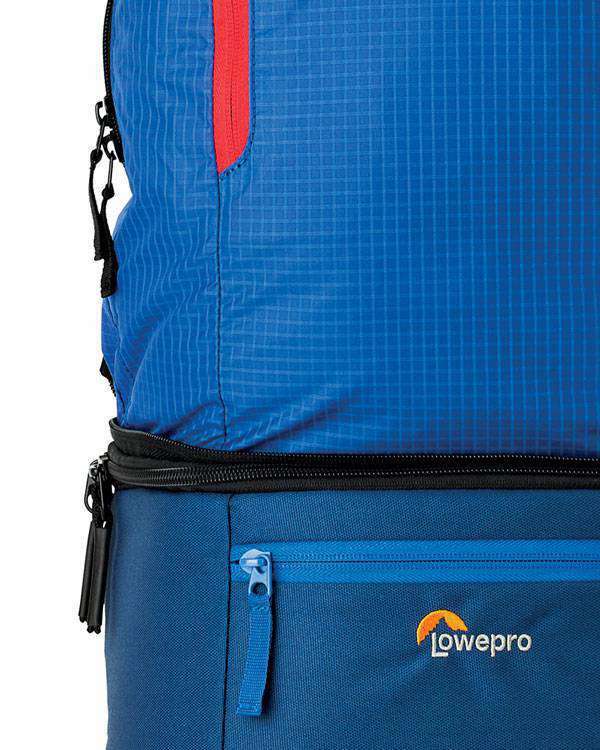 Passport Duo is available in Horizon Blue/Midnight and Orange/Mica in addition to basic Black. 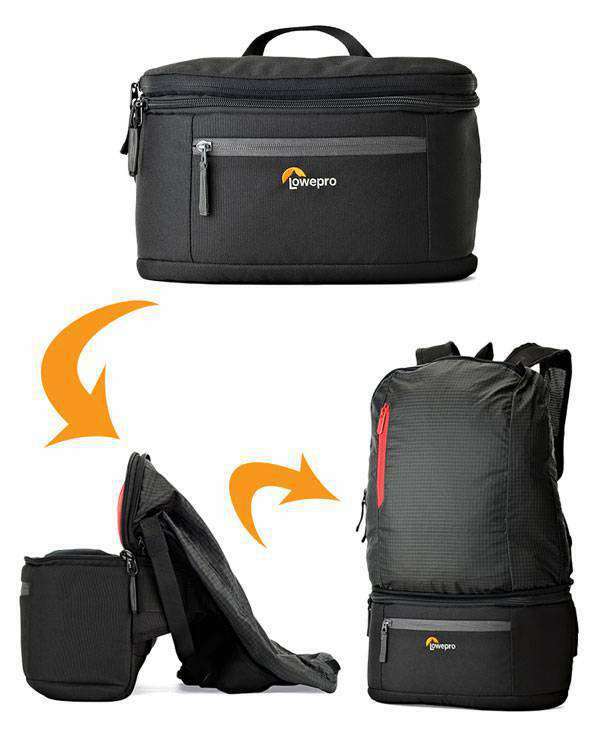 Convert from a 3L waist bag to a 15L backpack instantly! Always have extra room for personal items. 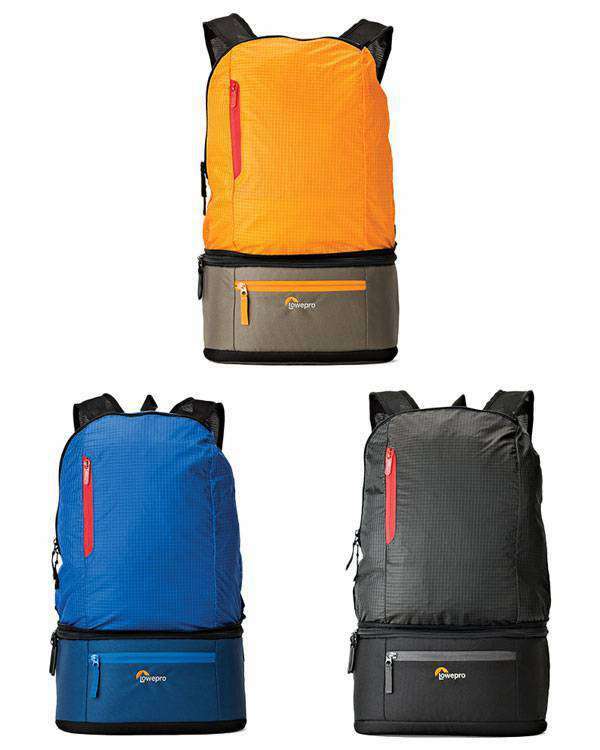 Made from lightweight, weather resistant fabric, and weighing in at less than a pound, the Passport Duo will never slow you down. 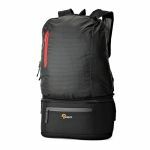 Well padded with adjustable divider system. 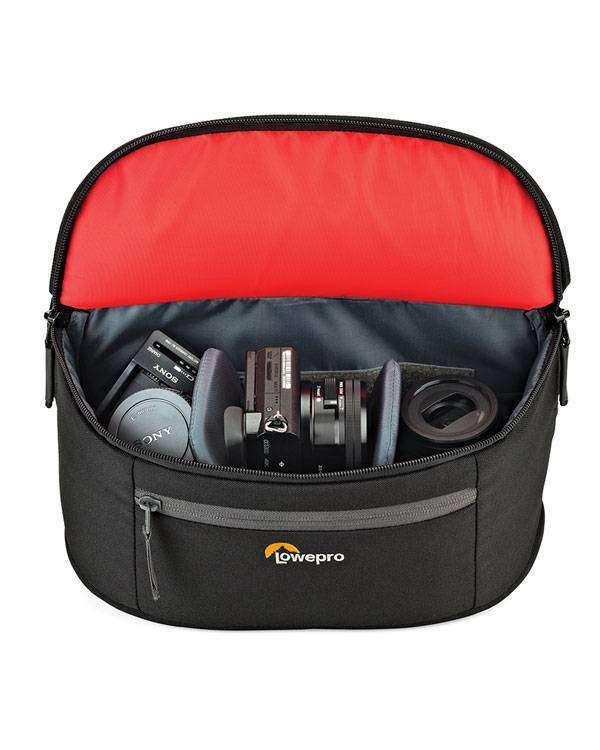 Passport Duo offers legendary Lowepro protection for a small DSLR or mirrorless camera with 3 lenses.